How has it been a month already since I decided to rejoin Weight Watchers?? It’s been a great first month. I’ve lost 9 pounds and have 9 pounds left to my pre – twin weight. Guessing around five pounds to go before I can fit in my “skinny” jeans again. Oh man, I particularly miss my fabulous Adriano Goldschmied ones from Anthropologie. Fashion is a damn good motivator! I actually forgot how easy Weight Watchers is. For those wondering, I do not do meetings, I’m strictly an app girl. I don’t really need the meetings, just the tracking and reminders. I particularly love to add up my activity points just to see how much I did each week. I have never traded my activity points for food and rarely use my extra weekly points; however, B’s birthday is Thursday and party Sunday, which means two birthday cakes soooooo I’ll be using some for sure this week. I’m doing some super easy exercises at home in addition to walking. We haven’t gone out much thanks to the disturbingly cold weather we’ve been having, but pushing my double stroller through the ice and snow definitely got me extra points. I do 100 squats a day plus some other core based exercises like planks and bridges. So here’s to 9 pounds down and to enjoying birthday cake, because a life without cake isn’t really worth living, is it? 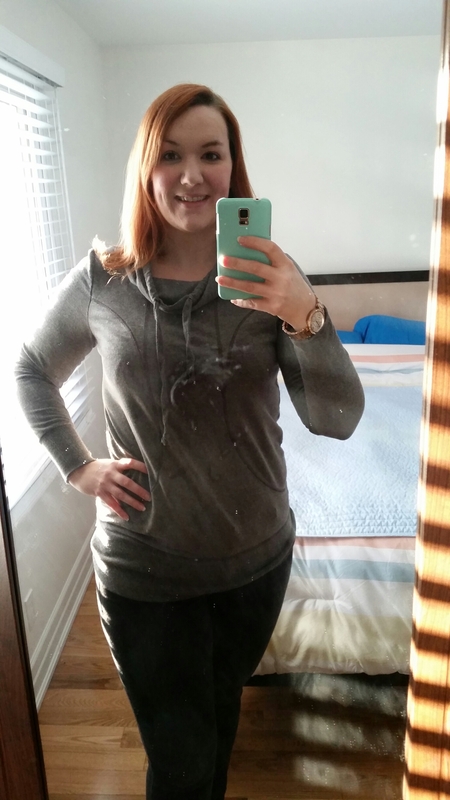 This entry was posted in Jelly belly, Mamahood and tagged appearance, body, identical, momo, mono mono, motherhood, NICU, post - baby body, preemies, self esteem, toddler, twins, weight loss, weight watchers. Bookmark the permalink. Wow that’s great! Hope you achieve your weight goals! I think I need to give weight watchers a try..